The cache is NOT at the published coordinates. Visit the coordinates to find the clues to find the cache. On the sign there is a plaque with a date. ABth CD EFGH. where CD is the month number, ie November would be 11, April would be 04. Somersham is a village and civil parish in Cambridgeshire, England. 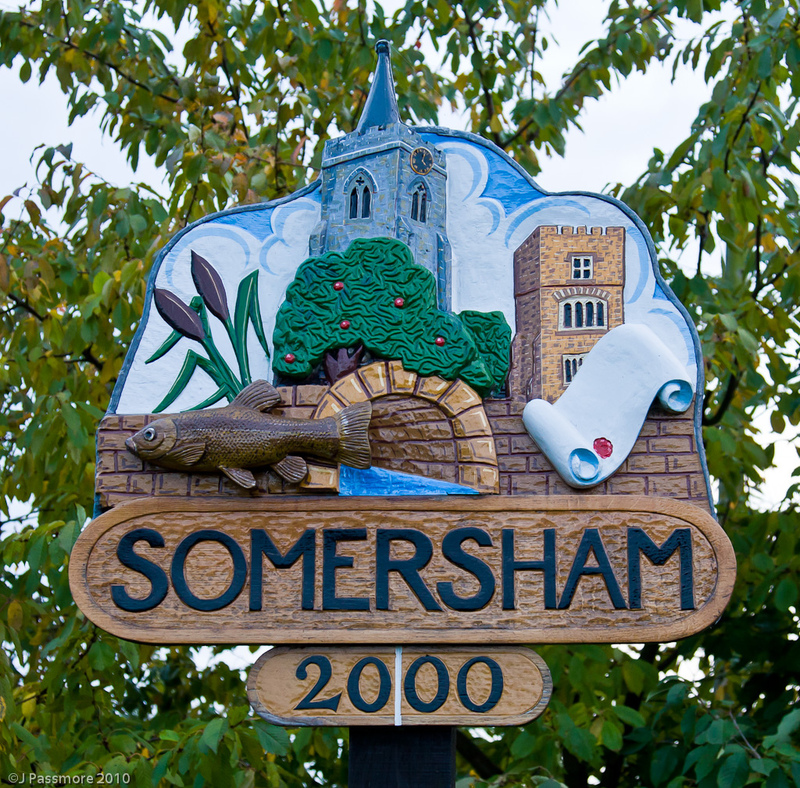 Somersham lies approximately 9 miles (14 km) east of Huntingdon and 4 miles (6 km) north of St Ives. Somersham is situated within Huntingdonshire which is a non-metropolitan district of Cambridgeshire as well as being a historic county of England. There has been a settlement in this corner of the country for at least 2,500 years and probably much longer than that. The village may not be full of ancient buildings, but it possesses a rich heritage of recorded history. Somersham lies on the Greenwich meridian line. There is a marker on the pavement in the High Street denoting the location of the October 1884 Greenwich Prime Zero meridian line. There was once a railway station at Somersham connecting it to the towns of March and St Ives, as well as a short branch to Ramsey. The cache is a short walk from the village sign so please do not go climbing all over it! If anybody would like to expand this series please do. I would just ask that you let SmokeyPugs know first so they can keep track of the Village Sign numbers and names to avoid duplication..